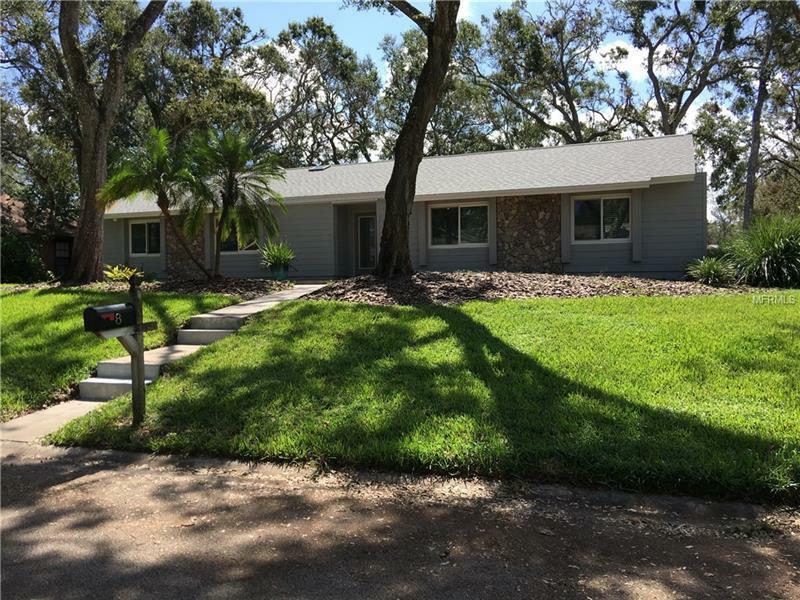 This is a beautifully remodeled house that is waiting for new owners to turn it into a home. At 1950 square feet with 3 bedrooms and 2 baths, it's just perfect for a small family. Upgrades include a complete kitchen redesign with all new cabinets, spacious 10' granite kitchen island, LG fridge, GE oven, new dishwasher, disposal, ceiling exhaust, large farm sink, and brand new kitchen hardware throughout. Both bathrooms have been completely renovated with a granite counter double vanity mirror installed and the master sports a custom built marble shower with a frameless glass surround. The roof is brand new, electrical panel upgraded to 200 AMP service, new AC system has been installed, and the hot water heater has been replaced wit a new high capacity energy efficient tankless water system. All new windows, baseboard, and molding have been installed throughout the house. The swimming pool has been drained and resurfaced with a new screen enclosure built. Custom built rear yard access gates/fence at driveway. The garage has had a new insulated door and security access pad installed. New doors, new tile floors, new carpets, there really isn't anything else that needs to be done for this to be your next perfect home!